The aim of this policy is: (1) to help CVUUS broaden its base of financial support for its annual budget and long-range planning beyond contributions connected with the annual canvass; (2) to fulfill the overall resource allocation priorities reflected in approved annual budgets; (3) to stimulate effective and spiritually nourishing forms of fund-raising; (4) to avoid situations where CVUUS fund-raising activities are working at cross-purposes to each other or to other CVUUS programs. 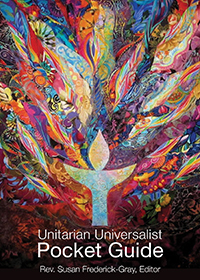 The Champlain Valley Unitarian Universalist Society seeks to provide adequate funding for normal Society activities and operations through the annual canvass and budgeting process. The Society seeks to fund all ongoing operations, including establishing prudent reserve funds, through the annual pledges of members and friends. Experience here and in other churches suggests that it is rarely feasible to do so and that a congregation can be financially healthy as long as pledge income accounts for at least 80 percent of normal funding. Any amount of the operating budget to be covered by other fund raising shall be clearly specified in the budget. In support of such accountability, anticipated expenditures by any ministry or committee within the congregation should be submitted to the Lead Minister and the Finance Committee when requested in the budget preparation process so that the requisite funding can be handled as a line item in the budget. In this way, the annual Budget adopted at an annual meeting will reflect the congregation’s priorities for funding of its activities and spotlight areas where additional fund-raising may be desirable or necessary. 5) Identifying potential scheduling conflicts and projects with a high ratio of work to anticipated return to fund-raising proponents, the Church Administrator and the Lead Minister. Members and friends are free to float fund-raising ideas informally with the Lead Minister or members of the Fund-Raising Ministry. No lay-initiated fund-raising program will be considered active, however, until a written description of the program, including any proposed allocation of the funds to be raised, has been approved by the Fund-Raising Ministry and the Lead Minister. Staff-initiated fund-raising proposals will be submitted to the Fund-Raising Ministry for feedback before being implemented. Staff-initiated proposals must be approved by the Lead Minister and include a written description of how the funds to be raised will be allocated. Ongoing fund-raising activities, like the Seasons of Life Fund, shall be managed and allocated by the Lead Minister in consultation with the Fund-Raising Ministry, the Finance Committee, and any other church bodies or staff members deemed relevant by the Lead Minister. All fund-raising proposals from any source are subject to review by the Board if questions arise about whether the Lead Minister has exceeded the limitations on executive responsibility established by Board policy. In general, outside charities receiving CVUUS support should be legally registered not-for-profit organizations. Exceptions may be made for other groups that the Fund-Raising Ministry and Lead Minister agree have missions reflecting the Unitarian Universalist Association’s seven principles and CVUUS’s Ends statement. While CVUUS encourages congregants to engage in charitable activities that benefit local and global communities, these activities, including solicitation of individuals for such charities, are not generally permitted at CVUUS or off-site CVUUS events. An exception may be made in cases where the congregant has obtained written permission from the Lead Minister, based on the Minister’s consultation with the Fund-Raising Ministry and any other groups the Lead Minister deems relevant to the request. CVUUS will, however, provide bulletin board space for congregants to post solicitations of support for their non-CVUUS related charity work. Congregants may also use such bulletin board space to post notices about goods and services they have for sale on an ongoing basis, provided these transactions are not conducted on church property. A whiteboard is available for temporary requests by congregants for support of non-CVUUS activities. These requests may be barred or removed immediately if they conflict CVUUS’s Ends statement or the U.U.A. Principles – the Lead Minister shall be responsible for making such a determination, but shall endeavor first to consult with any members of the Fund-Raising Ministry reachable when the questionable notice comes to the Minister’s attention.